Discussion in 'Football: NFL, College, High School' started by SACoog, Oct 8, 2016. A campaign started by a group of current students at the University of Houston. They have already raised over $20,000 over the past 4 days. What a very necessary new thread. It should say NEXT MAN UP. 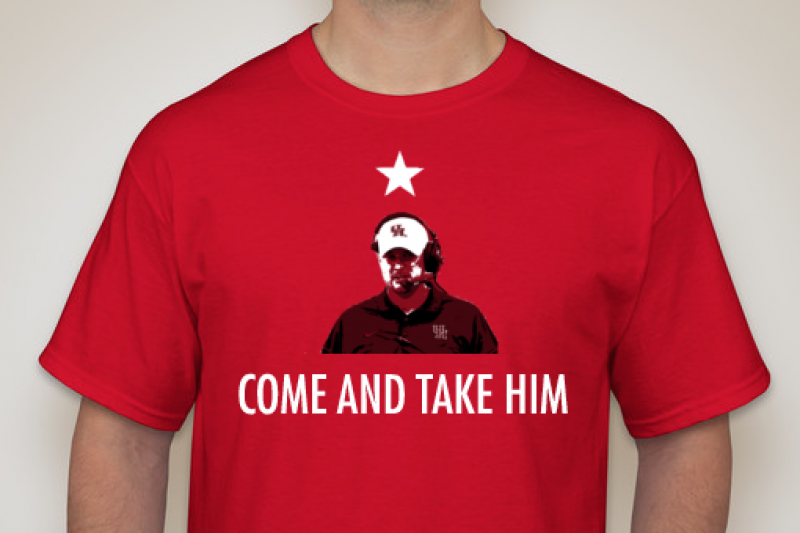 Because - he gone (and y'all usually find good coaches). Can I get one with billy'0' Brien on it? [Douche News] Which One of Ya'll Threw Drinks At Johnny Football Last Night? NFL after "Who Dat" T-Shirt vendors.